If you are going to teach in Thailand then the teachers certificate is important if you wish to work legally in Thailand. See the articles on how the teachers license in Thailand is obtained and what you need to do to obtain this license. There are a number of jobs available in Thailand. These jobs are held mainly by Indian and Filipino staff. These range in scope and are mainly in the entertainment industry in Thailand and the hotel industry. You will need to find a jobs site in Thailand for help in this regard. 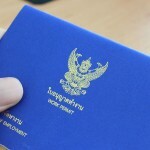 If you have found a job in Thailand then you will need to obtain all the needed documents for your work permit application. You dont need a degree for every job in Thailand and there are many such as translators that do not need this. Most times the Thai company who is going to employ you will pay the cost. Many however will expect you to pay for it and be reimbursed after it has been granted. You will need to ask about this when you secure a job in Thailand. Certain jobs in Thailand cannot be done by foreigners. These are mainly in the agricultural and services industries. Always check if you position in Thailand is one which may not be held by a foreigner.